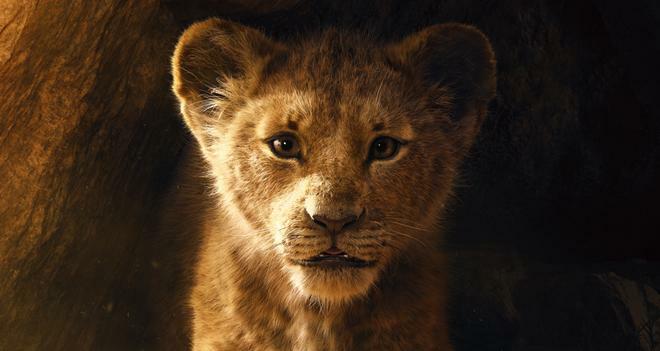 Following an initial teaser, Disney has released the first full trailer for its upcoming remake of The Lion King, offering viewers a closer look at the movie's photorealistic CG talking animals. The film is a remake of the original animated classic from 1994, and is set to premiere in theaters on July 19, 2019. From Disney Live Action, director Jon Favreau's all-new The Lion King journeys to the African savanna where a future king is born. Simba idolizes his father, King Mufasa, and takes to heart his own royal destiny. But not everyone in the kingdom celebrates the new cub's arrival. Scar, Mufasa's brother—and former heir to the throne—has plans of his own. The battle for Pride Rock is ravaged with betrayal, tragedy and drama, ultimately resulting in Simba's exile. With help from a curious pair of newfound friends, Simba will have to figure out how to grow up and take back what is rightfully his. The cast includes Donald Glover as Simba, Beyoncé Knowles-Carter as Nala, Chiwetel Ejiofor as Scar, James Earl Jones as Mufasa, Keegan-Michael Key as Kamari, Alfre Woodard as Sarabi, Billy Eichner as Timon, Seth Rogen as Pumbaa, and John Oliver as Zazu. The film is the latest in a series of recent live-action and realistic CG adaptations based on classic Disney animated films, including Maleficent, Cinderella, The Jungle Book, Beauty and the Beast, and Dumbo. Other live-action Disney re-imaginings in the works include Aladdin from director Guy Ritchie and Mulan from Niki Caro.